95% Jumbo home mortgages are making a comeback in Connecticut. You don’t always have to be a cash buyer to become a homeowner in a luxury market. Home buyers in Samford, Greenwich, New Haven, etc can now finance luxury homes with only 5% down payment. 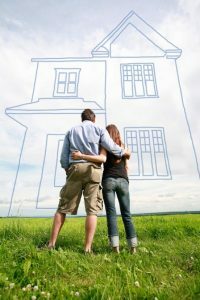 In this post, we will take a look at the latest 95% Jumbo loan requirements for CT home buyers. Please contact us below 7 days a week with questions. Like the name suggests, a jumbo home mortgage is a very large loan amount. It is a mortgage that exceeds the conforming or conventional loan limits standardized by Fannie Mae & Freddie Mac (the government sponsored agencies that purchase loans from lenders and banks) In most locations around the U.S, the conforming limit imposed by Fannie Mae and Freddie Mac is $484,350. Slightly more in higher cost locations like Connecticut, California, South Florida, etc. Jumbo loans are ideal for home buyers looking for luxury homes. These loans are designed to simplify home buying in pricey markets by covering the full cost of the loan, so there is no need for borrowers to drain their cash reserves. Once borrowers qualify for jumbo loans, there is no need to take out 2 or more loans to purchase. And just like conventional mortgages, jumbo loans can be obtained at a fixed and an adjustable rate 3/1, 5/1, 7/1 or 10/1 term. The interest rates on a jumbo loan are slightly higher due to the incurred risk. However, the rate gap has reduced significantly to spur home sales and economic growth, making jumbo loans extremely affordable for buyers. Basic loan amount and down payment caps. These programs are available for both purchase and refinance. We also offer Jumbo solutions for those buyers with a previous short sale. Please read more about all the 95% Jumbo loans here. Please contact Five Stars today to learn more about applying for the 95% jumbo. We serve home buyers in all 50 states, please call ph: 800-871-2636 or just click the “Request Contact” icon at the top of this page.